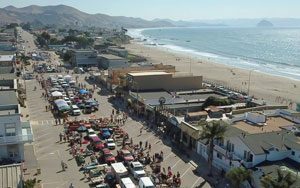 This semi-annual antique street fair takes place in downtown Cayucos from 7am to 3pm. Here, anyone can enjoy good food and great merchandise such as antiques, collectibles, and vintage items in this historic area. The best part is, the event takes place just steps from the beach. Over 50 vendors come and showcase their wares, and it’s the perfect place to visit for last minute Mother’s Day shoppers. This event has free admission and free parking, so make a day out of it. For more information, visit their website at www.facebook.com/CayucosAntiqueStreetFaire. Live music, rides, food, and thrifty shopping will go down at Traders Village on May 4th and 5th. There will be a full afternoon of entertainment and live bands on both days, with three different stages featuring 12 bands and other performers. A full list of bands and performers can be found on their website at tradersvillage.com/grand-prairie/events/cinco-de-mayo-1. The music will start at 11am under the Blue Expo and 12 noon under the Big Red Patio each day. Admission to Traders Village is FREE and it’s just $4.00 to park. Bring the whole family to this flea market event. There will be food specials, live music, raffles, games, and prizes. From 1pm to 3pm, the entire market will come to life, so you won’t want to miss it. There will also be plenty of vendors to shop from in case you need a break from all the excitement, featuring over 500 vendors from countries all around the world. For more information, visit their website at www.fleamarket.com. There’s nothing like Cinco de Mayo at the Public Market. 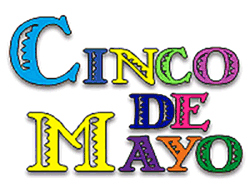 Celebrate with great food, live music, and face painting and pinatas for the kids. With six different market locations to choose from, including Glendale, AZ, Concord, CA, Oakland, CA, San Jose, CA, Santa Barbara, CA, and Reno, NV, there is always an adventure at each one. On top of all the entertainment that will be provided, there is also plenty of shopping to do at the Cinco de Mayo Celebration. Explore rows upon rows of vendors selling everything from trinkets to treasures, including fresh produce, affordable clothes, electronic accessories, among others. 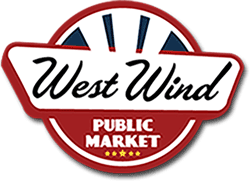 For more information, visit their website at www.westwindpm.com/events. Enjoy this Cinco de Mayo celebration with the whole family featuring live music, pinatas, kiddie rides, great food, and the best deals in town. 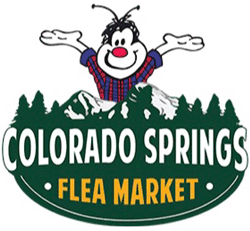 From 11am to 3pm, this flea market is the perfect place to have some fun and find a bargain while you’re at it. There is free parking and admission is only $2 while children 12 and under are free. For more information and directions, visit the event’s Facebook page at https://p-upload.facebook.com/events/314473739272955/.